Book stores - 1000 books to read before you die! 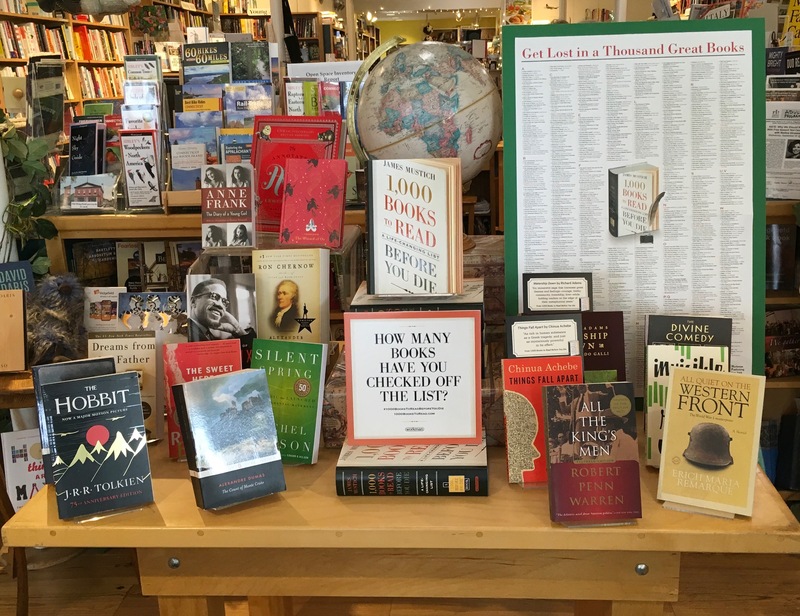 We encourage bookstores to build their own lists of Books to Read Before You Die. To start one, create a profile for your store and make your list. Simply sign into the Twitter or Facebook profile for your store and then create a profile on our site using the same browser. You can then share it with customers via your email newsletter or social media accounts, inviting readers to the store to see your 1,000 Books display. We would be delighted to see photos of your displays and will feature our favorites on Workman’s social media channels. Please tag @workmanpub and @1000bookstoreadbeforeyoudie and use the hashtag #1000BooksToReadBeforeYouDie or email them to us directly at moira@workman.com. Booksellers on your staff—and your customers, of course!—can create individual profiles and build their own lists as well. These, too, can be featured in your email newsletters and social media channels. Questions? Write to us at hello@1000books.com.